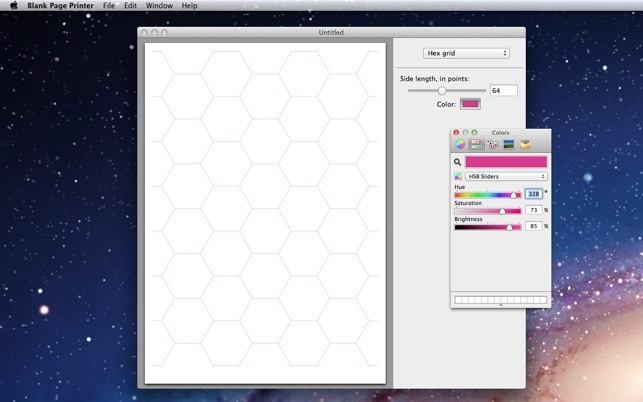 Computers and tablets are great, but sometimes you just want to doodle on a piece of graph paper. Usually I just use the low-tech solution: grab a napkin and borrow a pen. This app is for times when you want to be (slightly) more sophisticated than that! 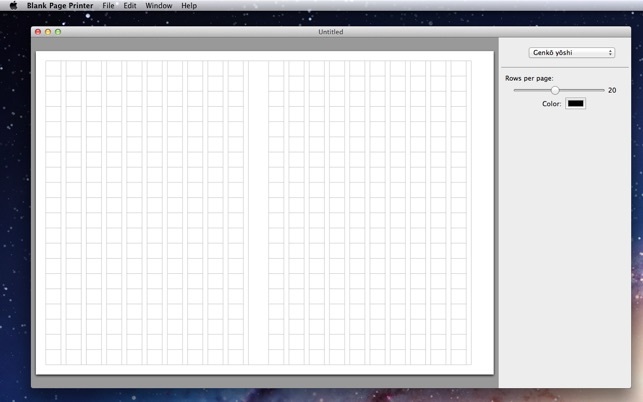 You can save your grids for later, so you can print exactly the same blank pages again. 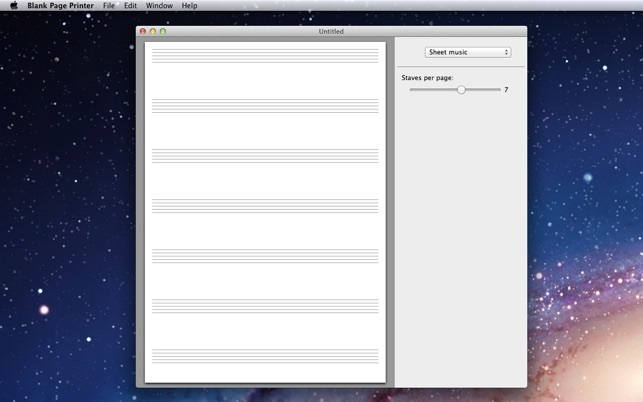 Of course, like anything else you can print on your Mac, you can easily save it as a PDF, too. 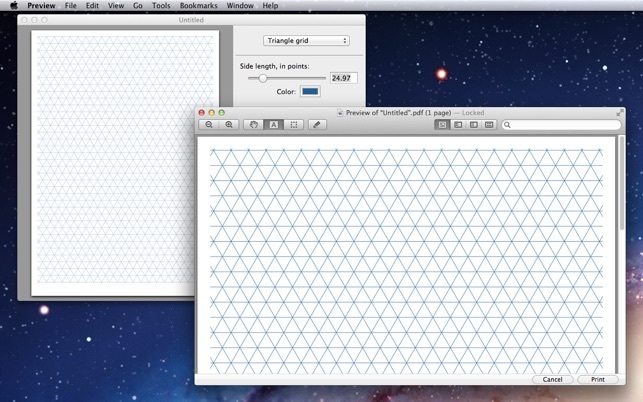 There's no watermark or identifying text, and you can do whatever you want with the grids.